The US acknowledged this week that it inadvertently killed two hostages earlier in 2015 in a previously classified counterterrorism operation. The admission again raises questions about the true toll of America’s controversial drone program. Speaking on Thursday, US President Barack Obama said two hostages, an American and an Italian, died due to a counterterrorism operation waged in Pakistan in January. Obama offered his condolences and mentioned he’s taking “full responsibility for all our counterterrorism operations” including the incident led to the deaths of American Warren Weinstein and Giovanni Lo Porto. The US president added that the strike succeeded in killing members of Al-Qaeda. US intelligence had concluded that capturing the terrorists was not a possibility. It was believed there were no civilians in the suspected Al-Qaeda compound, which was stuck by missile from an unmanned aerial vehicle. Critics of the US drone program are asking whether it can still be justified given the loss of innocent lives. Official policy allows the Central Intelligence Agency to launch drone strikes on behalf of the US without positively identifying the targets. Instead, they rely on behavior patterns to decide if an operation should go-ahead. The New York Times reported this week that the January 15 strike that killed the two hostages was one of these “signature strikes.” The CIA believed with “high confidence” they would only be targeting terrorists. The CIA only learned that hostages had been killed after locals buried six bodies and not four, administration officials told the publication on condition of anonymity. 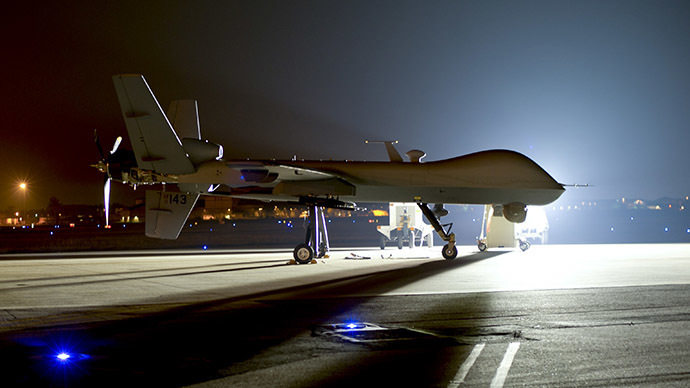 Amid growing opposition and concerns about the US drone program, Obama mentioned in 2013 that he would look to limit the use of strikes from unmanned aerial vehicles. “Before any strike is taken, there must be near-certainty that no civilians will be killed or injured -- the highest standard we can set,” the US president said. According to the Bureau of Investigative Journalism, US strikes in Pakistan since 2004 have killed between 423 and 962 civilians—or on average, at least one innocent civilian per strike. The bureau adds that 100 or more other strikes have been waged since the George W. Bush administration in Yemen, Somalia and Pakistan, which have led to civilian deaths. Shahzad Akbar, a Pakistani attorney who represents 150 victims of the US strikes, told The Intercept that the president’s apology on Thursday exhibits a gross double standard when it comes to civilian deaths. According to the Bureau of Investigative Journalism, 38 westerners, including 10 Americans, have been killed by US drone strikes. Missiles fired from unmanned aircraft killed al-Qaeda members Anwar al-Awlaki, Samir Khan and Al-Awlaki’s teenage son, all US citizens, in 2011. "It just adds to the concerns about the use of drone strikes," Jones told the news agency. "There has been no major terrorist organization in the world that has been defeated by drones."